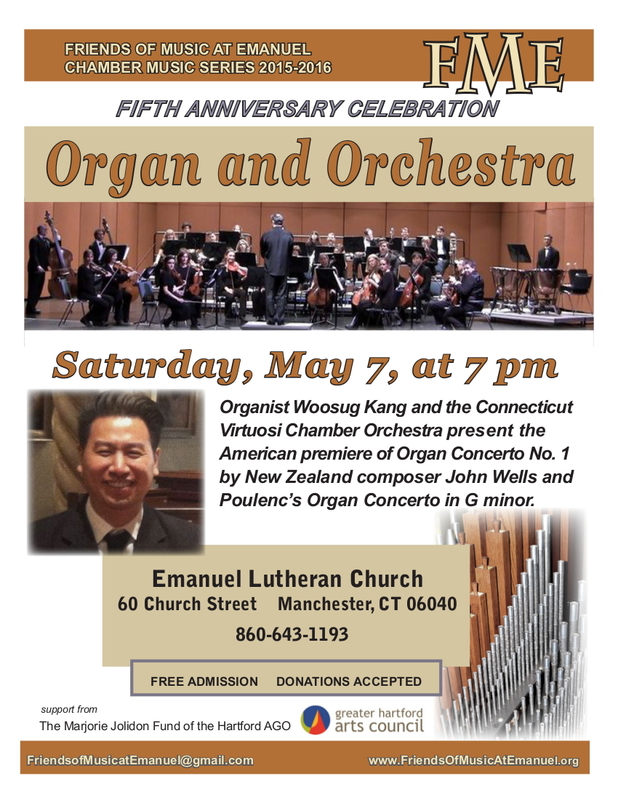 Organist Woosug Kang will join forces with the Connecticut Virtuosi Chamber Orchestra for the American premiere of Organ Concerto No. 1 by New Zealand composer John Wells. The program will also feature a performance of Poulenc’s beloved Organ Concerto in G minor. John Wells’ Organ Concerto No. 1 is perhaps one of the most significant organ works composed in the past 20 years. Praised by Michael Barone of Pipe Dreams as “Great stuff… it has what it takes to make it internationally,” the work’s three movements retain the traditional features of a Western European concerto, with the additional influence of Maori melodies. It was premiered in 1996 in St. Matthew-in-the-City, Auckland, New Zealand, with the composer as soloist, and received its Australian premiere in 2006. 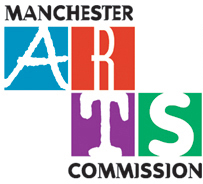 This work will receive its Western Hemisphere premiere in 2016 with performances on Saturday, May 7, 7:00 pm at Emanuel Lutheran Church in Manchester, CT, and on Sunday, May 8, 4:00 pm at South Congregational Church in New Britain, CT. Admission to both concerts is free, with donations accepted. Organist Woosug Kang is a native of New Zealand, where he completed his Bachelor of Music in organ performance and studied organ with the composer, John Wells. He moved to the United States and completed his Master of Music in organ performance at Yale University. He is currently a candidate for Doctorate of Music in organ performance at Jacobs School of Music, Indiana University. He has concertized around US, UK, Australia and NZ on the organ, and is also active as a choral conductor, directing multiple choirs at St. Philip’s In The Hills Episcopal Church in Tucson, AZ, one of the largest Episcopal music ministries in country. This project is sponsored by the Friends of Music at Emanuel, the Marjorie Jolidon Fund of the Hartford AGO, and the CT Virtuosi Chamber Orchestra.